Queen Beans and Wannabes: A Sweet Treat at Harvard Sweets! 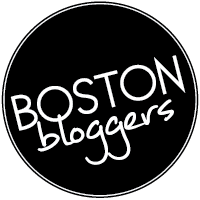 A few weeks back before I hit the road for my vacation out west and the Red Sox were just beginning their battle in the ALCS against the Detroit Tigers, I was invited to another @BlogandTweetBos Bloggers event at Harvard Sweets… in Hudson…(yes, you will need to Google this one, it’s out between 495 & Mass Pike). 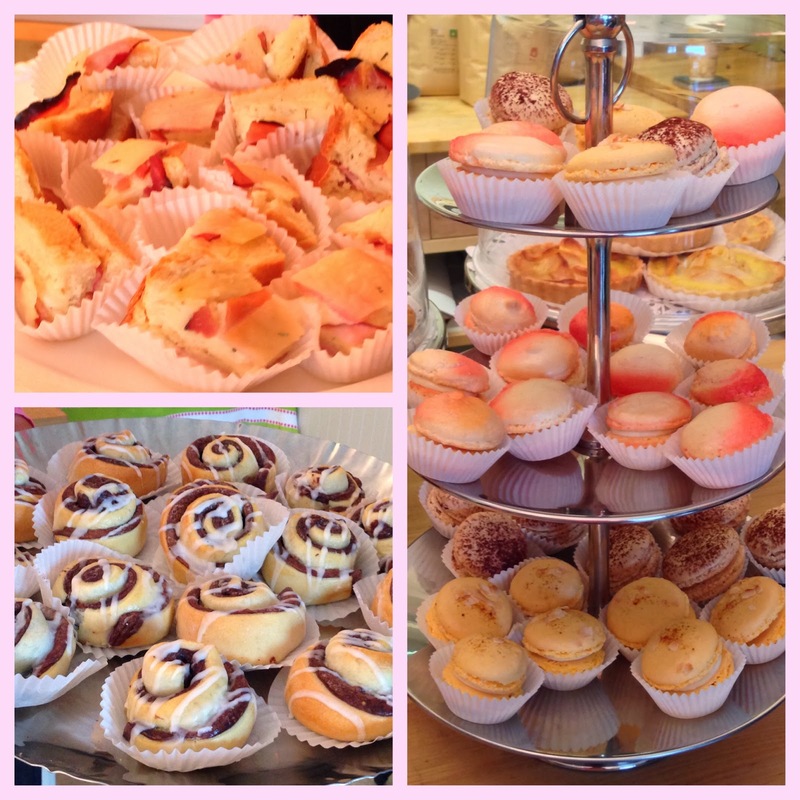 lots of tasty goodies to try and take home. The ride to Harvard Sweets wasn't bad at all, about 40 minutes from the city on a Saturday morning and they were actually located right next to The Horseshoe Pub, (I recognized the name from the number of commercials that play during the Phantom Gourmet). 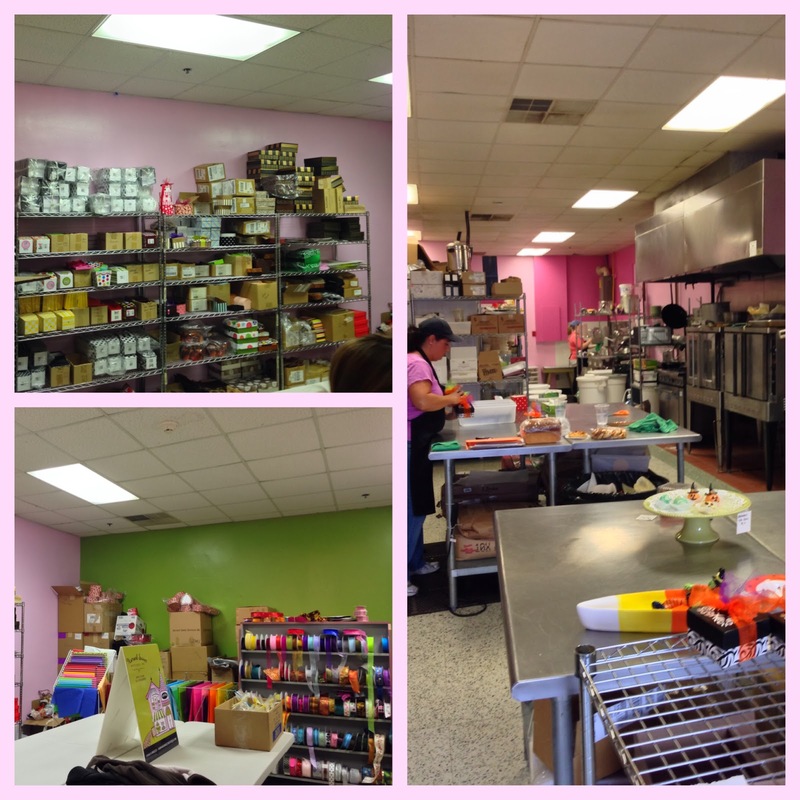 Harvard Sweets recently renovated with a cute store front look inside and bright, cheery colors welcomed us bloggers into their bakery. We met with Susan who founded Harvard Sweets in 2007 who greeted us with sticky buns and cups of gourmet coffee- a perfect way to start any event. She told us more about the bakery and introduced us to a few of her bakery partners: first up was Joanna from New World Biscotti. 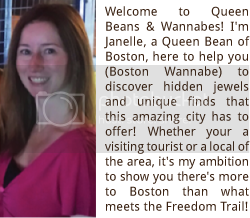 She first met Susan at a local farmers market and began partnering together to sell Joanna’s biscotti. Personally for me, when I see biscotti, I think of two things: 1. Eww 2. I need to put my dentist on speed dial in case I break a tooth. However with Joanna’s biscotti, I was more than surprised about how delicious and soft they were for being biscotti. 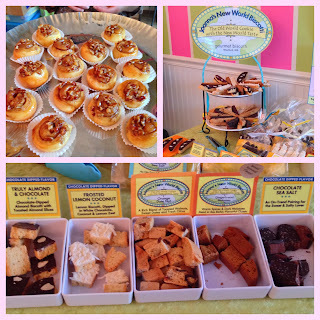 She had many different types of flavors to sample from Chocolate Sea Salt, Gingerbread Molasses to Frosted Lemon Coconut & Orange Date Nut. These biscotti’s were great to dunk in coffee or have on their own… your teeth won’t regret it! Next, we met Patrick of Gracenote Coffee located in Berlin, MA who had us sample a few of his coffee brews with beans from Mexico & Kenya. 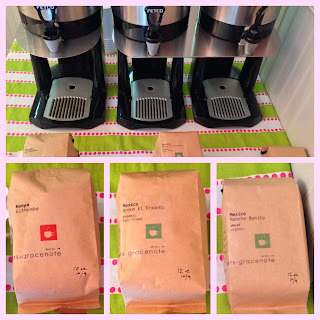 Patrick explained about all the different types of coffee beans, how to brew different types of coffee and why each area that grows coffee beans provides different types of flavors. I admit, they whole coffee explanation overwhelmed me a bit; who knew that there was so much to learn about being a coffee coinsure like a wine or beer coinsure. It would be great to go to a place that did explain more about the types of coffee, especially if you could try sample after sample…until then I’ll be sticking with the *gasp! * Dunkin Donuts Iced Coffee & my Keurig. As the other Bloggers and I walked around behind the scenes of the store to see how the delicious sweets were made and boxed to go, we were kept being offered more goodies to sample and take home with us; which I was more than happy with. 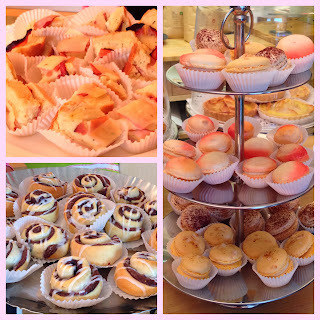 We sampled everything from French Macaroons, to brownies and sandwiches…and of course, more sticky buns! As the event was winding down, we were treated with a sample box of Harvard Sweets goodies and I snagged a few sweets for home. 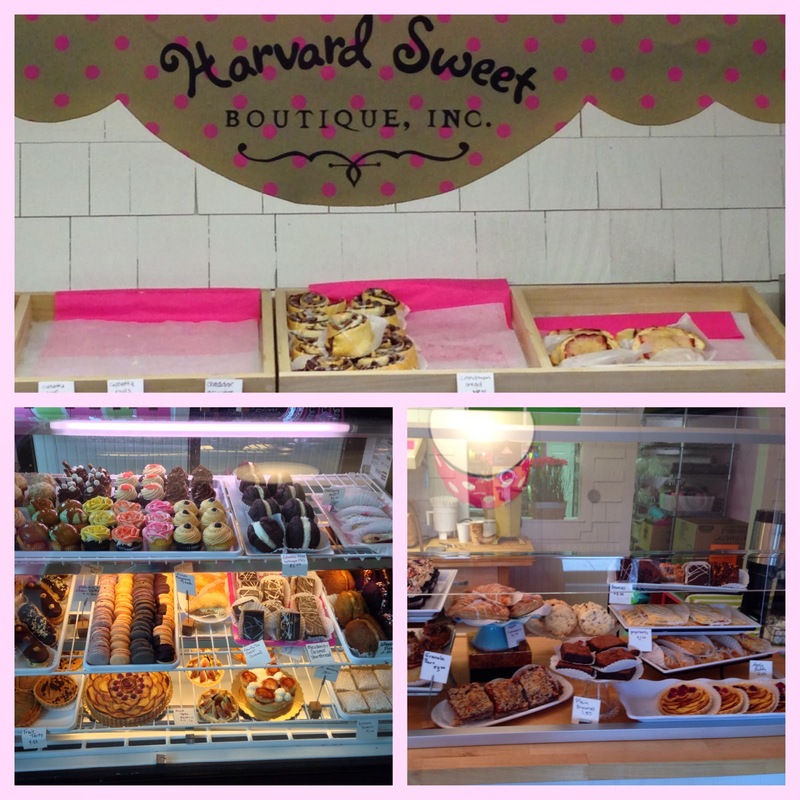 If you’re in the Harvard/495 area, I would suggest stopping by Harvard Sweets, or, if you’re like me and can’t contemplate why people would drive so far out, you’re in luck… Harvard Sweets sells their delicious goodies online. 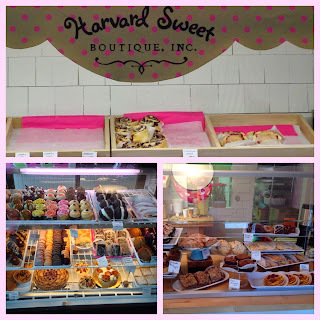 Unlike the $3 cookie I purchase sometimes in the city and it’s only so-so, Harvard Sweets prices are very reasonable, perfect excuse to purchase a few of their goodies, so make a trip or go online and try for yourself and taste exactly what I’m talking about!